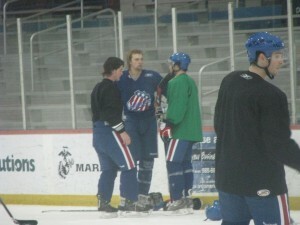 Hockey's Future Q&A with James DeLory · Let's Go Amerks! James DeLory sat down with someone from Hockey’s Future for a short Q&A. 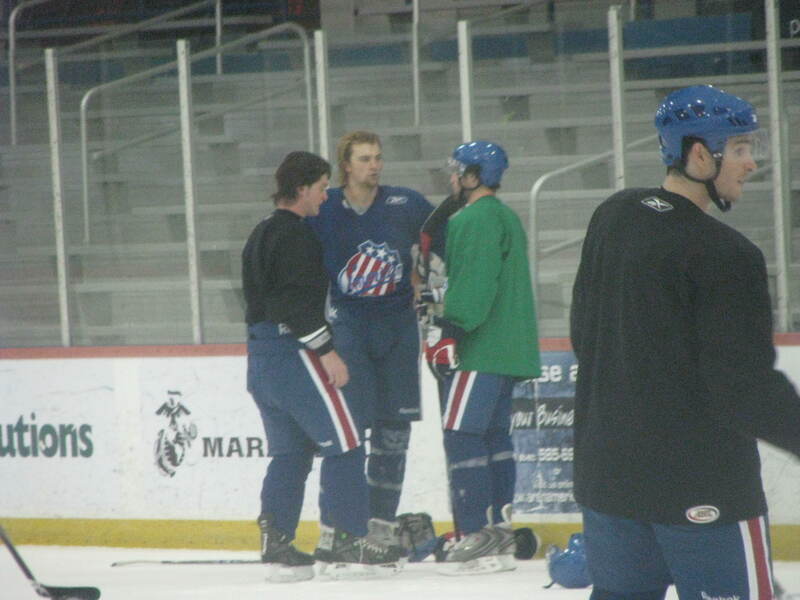 DeLory was at Amerks training camp and then sent down to the Florida Everblades, probably due to a concussion he had. He was signed by the Florida Panthers over the summer, he was an unsigned draft pick of the San Jose Sharks. He’s currently learning a new position, he was asked to move up from D to forward. No idea what the future holds for him, we’re certainly not going to speculate at this point. Everyone who has “looked good” has done just the opposite in games. And Blades fans have seen the last of James DeLory, a 20-year-old rookie and the team’s sole Panthers prospect. The 6-foot-5 “fighter-in-training” had a reputation as a tough guy in the OHL, but he had to learn to switch positions from defense to forward. Because DeLory’s just 20, he’s eligible for one more year in juniors. Cameron said he’ll be sent back to the OHL’s Oshawa Generals for his overage year. With 6-foot-8 enforcer Riley Emmerson remaining in the AHL, DeLory’s departure leaves the Blades minus-2 big bodies. Plus, with Herauf out on injured reserve, there’s a slight void in proven fighters. Should be interesting to see who steps up to fill their roles … or how soon Emmerson is sent back down to the Blades.